With the advent of the latest technological advancements, more and more enterprises are turning towards Managed Service providers, so that they can focus more on their core business rather than worrying about the infrastructure related issues. 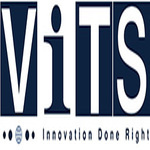 Vista IT Solutions, LLC, is one of the prime Managed Service Providers, serving its clients worldwide. Apart from Managed Services and Cloud Solutions, we are pioneers in the field of Website Design and Development as well as Mobile App Development. We are having a partnership with technology giants like Microsoft and Cisco.